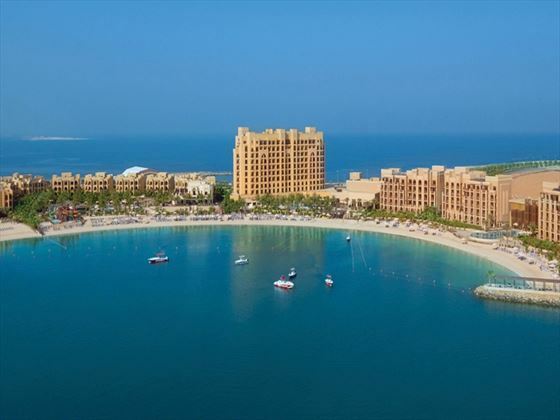 Perched along the white sands of Al Marjan Island – Ras Al Khaimah’s first man-made archipelago – DoubleTree by Hilton Resort & Spa Marjan Island is an inviting resort inspired by its unique and prestigious location. 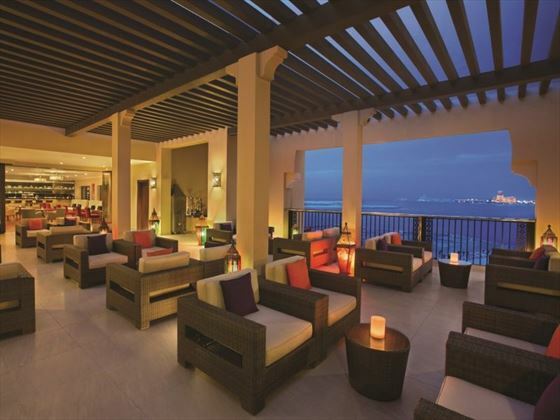 The private stretch of beach will grace you with the most sensational views of the sparkling Arabian Gulf, and your stay will be inundated with luxurious touches. 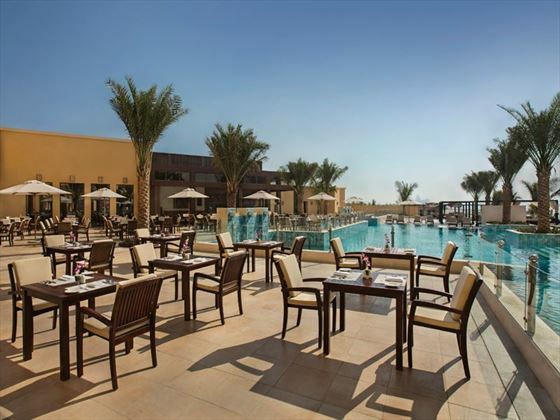 Nestled just an hour’s drive from vibrant Dubai, you won’t be too far from the city’s extravagant attractions, and yet the resort’s exclusive location will grace you with the peacefulness and seclusion needed for a restful stay. 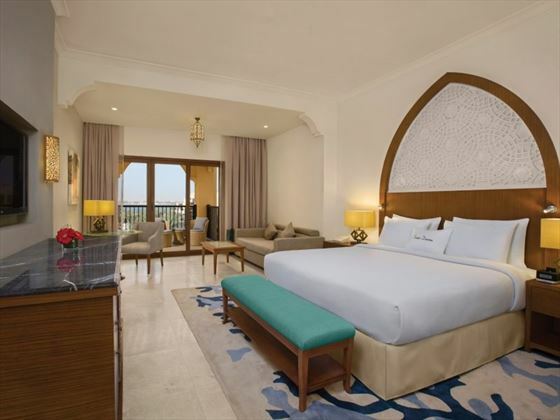 The rooms and suites here are opulent and classy, with rich colours, Arabic touches, and a gorgeous balcony overlooking the gardens or the ocean. With a variety of innovative restaurants and trendy bars, DoubleTree by Hilton Resort & Spa will take you on a tantalising culinary journey. Sip on a healthy and creative mocktail by the pool at Boardwalk, tuck into European home-style cuisine at Brasserie, or take the family to Vespa for a taste of authentic Italian favourites. 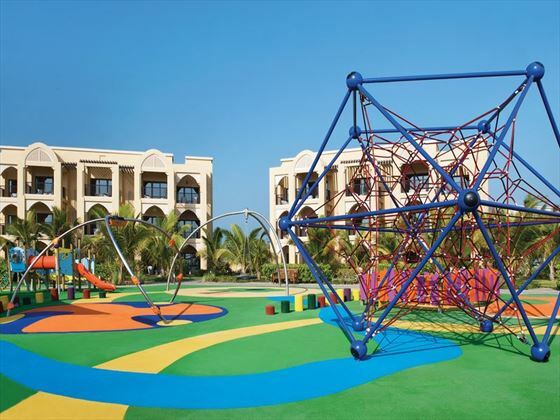 Families looking for a sun-soaked All-Inclusive getaway will love the resort’s array of child-friendly activities, including Kids Paradise – a wonderful kids club with fun activities, from cookie decorating and jewellery making, to Zumba classes and creative arts and crafts. Meanwhile, loved up couples will relish time spent in the spa, indulging in an extensive menu of well-being therapies. 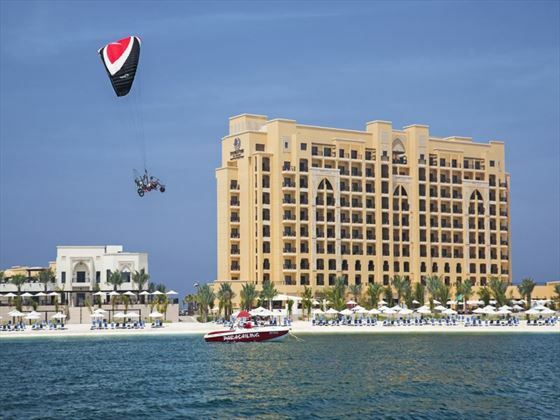 Shopping malls, desert dunes and the amazing Al Hamra Golf Course are just moments away should you fancy exploring the area, or you could spend your days on the private beach, sinking your toes into the sand or getting stuck in with a few exciting water sports. 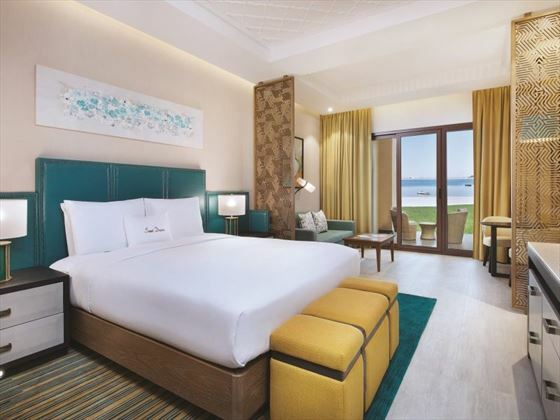 No matter how you choose to spend your time, DoubleTree by Hilton Resort & Spa Marjan Island will provide you with first-class service, and a holiday that exudes luxury. 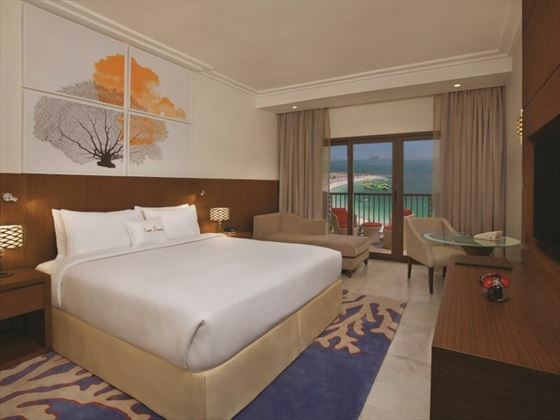 You'll find the DoubleTree nestled in on a private stretch of sugary sand beach on the man-made Marjan Island in Ras Al Khaimah, the perfect spot for your luxurious getaway. The Al Hamra mall is just over five minutes away, offering a huge range of shops, eateries and a lovely little cinema. 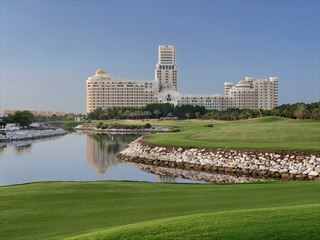 Just a little further on sits the Al Hamra Golf Club, fantastic for those looking to relax and play a couple of rounds in the sun. If you fancy some adventure, you can jump on an excursion out to the breath-taking rolling sand dunes in the terracotta desert landscapes. With a 600-meter stretch of private beach on your doorstep, you could easily spend your days soaking up the stunning vistas of glistening waters as you relax on the powdery sands. *Dinner in Brasserie Restaurant, Vespa Restaurant, Anchor Bar and Meze Restaurants will be discounted AED60 per person from the food bill. If you choose to upgrade to the Dine around package these all inclusive benefits will start from 12:00 and will end at 03:00. Please note that on your day of departure your All Inclusive will end at 15:00. The holy month of Ramadan will be celebrated from the 5 May - 4 June '19. 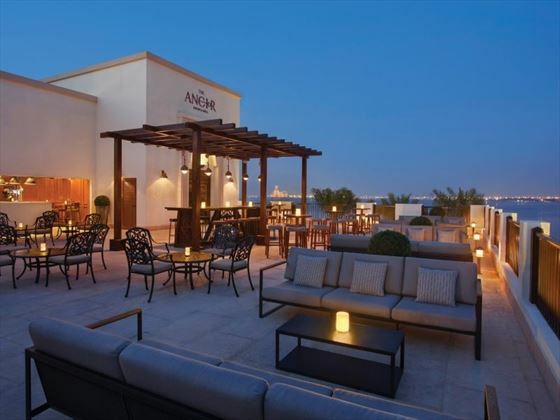 Eid Al Adha (11 Aug '19 for 2 nights) no alcohol will be served in Bars, Restaurants and Hotels. Sorry, there are currently no prices available for your selected options. Please change your options or call us on 01342 331 795 for a quotation. 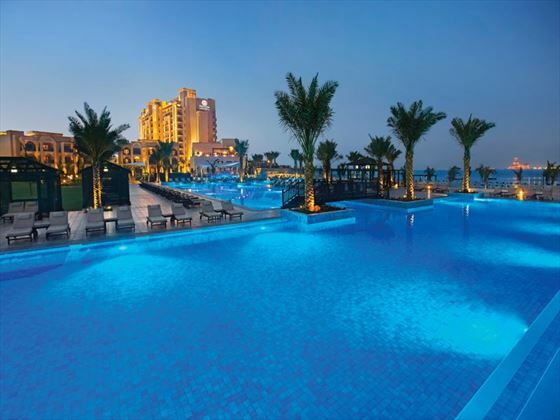 Situated in a prime beach location in Ras Al Khaimah, approximately 90 minutes from Dubai Airport. 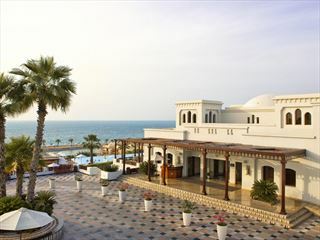 The Cove Rotana is a laid-back resort boasting plenty of great features. From an all-inclusive programme to on-site fitness and leisure lounge, you'll be relaxed from the moment you arrive. 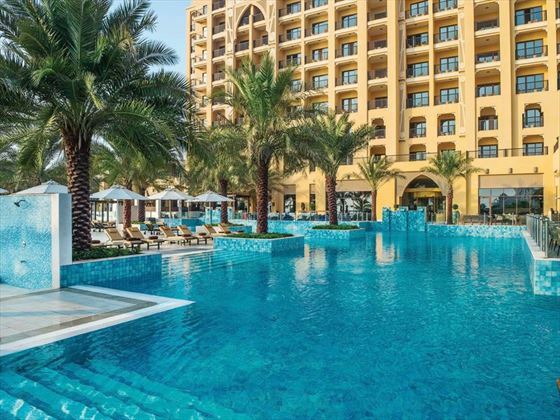 With three nights at Waldorf Astoria Ras Al Khaimah and four nights at Six Senses Zighy Bay, this wonderful seven-night twin centre fuses the natural beauty of Ras Al Khaimah and Oman with the indulgent luxury of these extravagant resorts.